The works that I am currently painting continue my process of reinterpreting the landscape in a simplified manner. 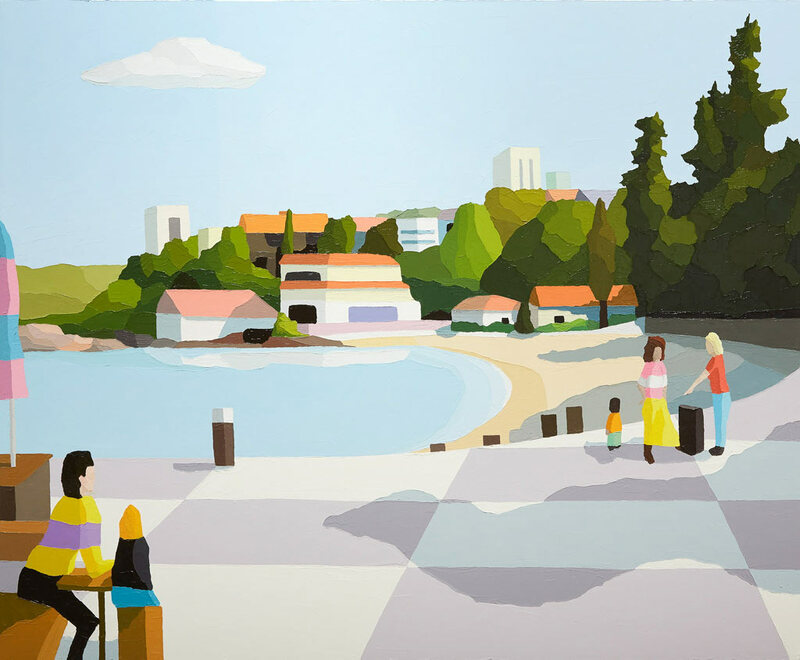 This piece is one of a group of paintings that bring me back to various areas of Sydney – coastal, city or suburbs. Perception and judgment is played out in different areas within the painting, whether that is through the application of paint, flattening of the picture plane or the narrative content unfolding within the painting.